Myrtle Beach, SC -- Hoyt L. Graham, Sr., Age 85, husband of Joanne Graham, passed away at Grand Strand Hospital on June 12, 2018. Mr. Graham was born in Conway, SC, the son of the late Virgil D. Graham and Macie Martin Graham. Mr. Graham was predeceased by wife, Doris Doyle Graham and by his brothers, Boyd Donald Graham (Vera), Larry Michael Graham, Sr. and his sister, Betty Jo Dunn (Albert). He is survived by his wife, Joanne Graham, his daughter, Wanda Shoemaker (Randy), his son, Hoyt L. Graham, II (Crystal) and daughter, Tami Graham, sons, Tony Kennedy (Cindy) and Tommy Kennedy, grandchildren, Earon G. Johnson, Doyle G. Johnson, Hoyt L. Graham III (Tripp), Rachel Kennedy and Rebecca Kennedy. Also surviving are brothers, Wayne Graham (Big Daddy), Virgil D. Graham II (Valerie), Tony Graham (Karen), sisters, Kathy G. Hardwick and Teresa Faircloth (Tommy) along with several nieces and nephews. Mr. Graham was a member of the First United Methodist Church, Myrtle Beach. 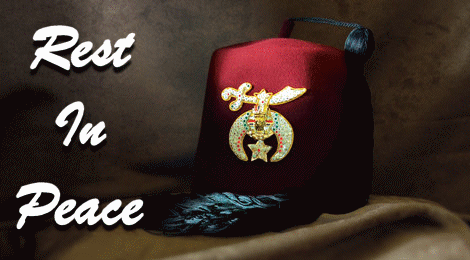 He was a member of Myrtle Beach Masonic Lodge #353 and is a Past Potentate of the Omar Shrine Temple, Charleston, SC. Mr. Graham enjoyed fishing, hunting, traveling and having breakfast with his friends. Mr. Graham was an entrepreneur before it became main stream. He loved the challenges of a new business and was always willing to take the chance and a believer of hard work and the philosophy that “The early bird catches the worm”. He was passionate about the Shriners and their mission of helping children in need of medical treatment without financial burden to their families. He loved his family, friends and all children. He enjoyed talking and sharing memories about his life. The family would like to express their sincere appreciation to the staff at Grand Strand Regional Medical Center, SDICU (3rd) floor for their care, compassion and thoughtfulness during our end of life’s journey. The family will receive friends Thursday, June 14th at McMillan-Small Funeral Home from 5:00PM-7:00PM. Funeral Services will be held at 11:00AM, Friday, June 15th at First United Methodist Church. In lieu of flowers, please send donations to the Shriners Children’s Hospital, 950 W. Faris Road, Greenville, SC 29605 or Epworth Children’s Home, 2900 Millwood Avenue, Columbia, SC 29205.